Answers to some frequently asked questions about the Home Tour! Q. How many homes are on the tour? Q. What are the days and times of the tour? Q. How long do I have to do the tour? A. You can take ALL DAY or ALL WEEKEND to do the tour! A few homes on Saturday and a few homes on Sunday or do it all in ONE day! It’s up to you! Q. Where does the tour start? A. The Grand Forks Holiday Home Tour is self-guided. When you purchase your ticket, you’ll notice that the addresses of the homes and a map are provided for you. So you may start at any home you want to or take as long as you’d like at any of the homes. The tour’s pace is at your leisure! Q. How much are tickets and where do I get them? Pre-sale tickets are available until December 1 at All Seasons Garden Center, Curious on 32nd, Kittsona Lifestyle on 3rd, Scheels Grand Forks, Sterling Carpet One and Waterfront Kitchen & Bath. Prices will increase to $25 on December 2 & 3 and be available for purchase at SANTA’S VILLAGE. Q: Who organizes the Grand Forks Holiday Home Tour and how can I get involved? 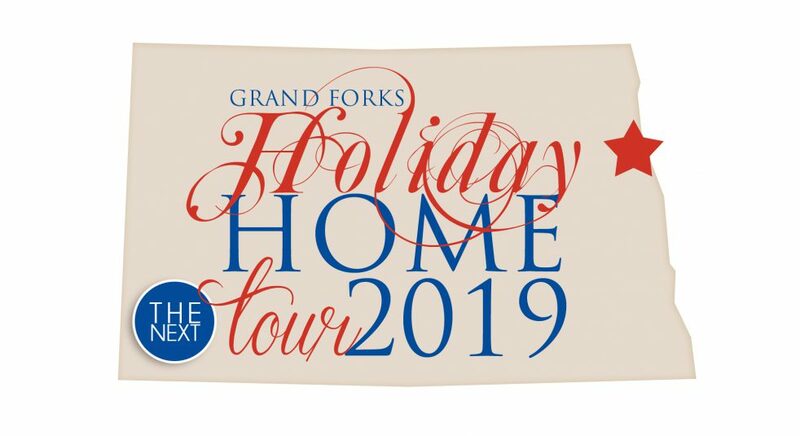 A: The Grand Forks Holiday Home Tour is organized and sponsored by Grand Forks Republican Women (GFRW), this is the 26th Biennial Tour! All proceeds benefit GFRW. If you would like to be part of the 2019 Holiday Home Tour as a homeowner, designer, advertising partner, ticket retailer or volunteer please contact gfrepublicanwomen@gmail.com.